A Tale of how the Butterfly got it's colors. 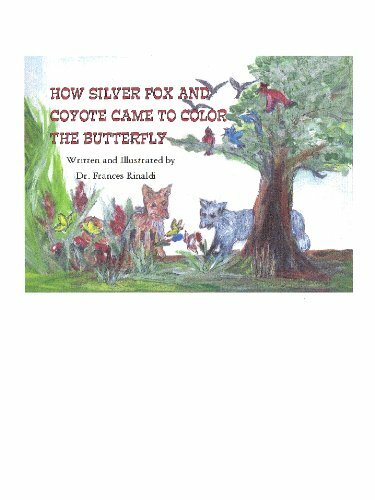 Cute book about a silver fox and coyote who paint flowers. They come together to form a friendship and can combine their colors to make more colors. Teaches young children the color combinations. They go to the moon to look for more colors and decide to come back to earth. They see a plain moth and decide to color the butterfly. A story told to Dr. Rinaldi by her Algonquin Grandmother, it does include references to Mother Earth.